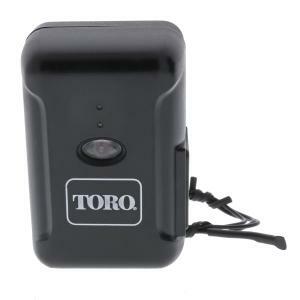 This Toro EVO-AR Evolution wireless auxiliary relay is an optional but useful upgrade for the Evolution AG Controller when paired with the Smart Connect wireless receiver (both sold separately). Capable of controlling such yard-and-garden accessories as lighting, pumps, fountains, and any other electrically-powered device you might want to put on a timer. The Toro EVO-AR Evolution wireless auxiliary relay can be used with any residential transformer that has an internal AC outlet. You can also plug it directly into a wall outlet and then plug a device into the AR's own outlet for such things as holiday lights. Up to two wireless relays can be used to turn on lighting, pumps, or fountains, just to name a few possibilities. RF reception range is 1000' line of sight when externally mounted; 500' line of sight when mounted inside a metal transformer cabinet.